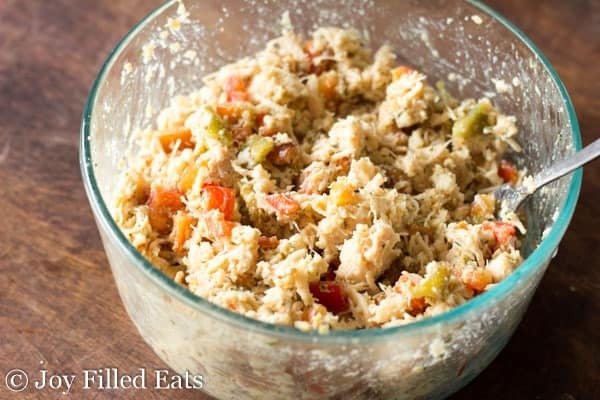 I love chicken salad in warm weather but mayonnaise and celery gets old after awhile. If you are looking to brighten up your lunch or dinner like I was this Thai Chicken Salad with hit the spot. I’ll let you know upfront that this will not authentic. I don’t know much about Thai cuisine except that I like to eat it. 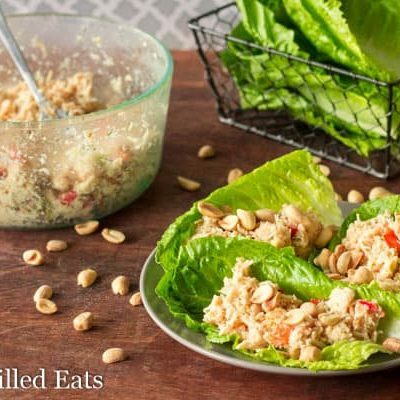 I decided to make a quick and easy chicken salad with a few of those amazing Thai flavors today. When I think of Thai I think of the flavors in Tom Kha Gai (chicken coconut soup) or Somtum (green papaya salad) which are my two favorites for date night. I’ve made a pretty decent Tom Kha Gai before but I’ve attempted the green papaya salad. I don’t even know where I could find a green papaya. The main flavors in the soup are coconut, ginger, lemon grass, and lime. It is spicy and sour. 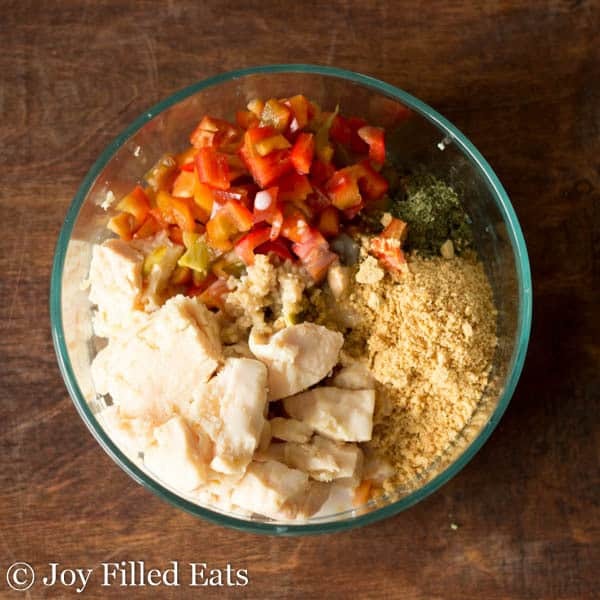 I took the flavors of those and added them into my Thai Chicken Salad. You can really taste the peanuts, lime, and ginger. This only takes 10 minutes to make using a few pantry ingredients from Dollar General. There is a new Dollar General in my neighborhood. 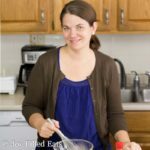 It is one of those stores that is easy to run into for a few ingredients when the thought of going into a large grocery store is overwhelming. Like when I have four kids in tow. Dollar General has a wide selection of food for everyday recipes at great prices. Their own brand, Clover Valley, is a guaranteed nationally equivalent brand exclusive to Dollar General. There was a Clover Valley product for almost every option in the pantry section. It is easy and affordable to stock up on those products at Dollar General. Stir together the first eight ingredients. Fold in the chopped pepper. 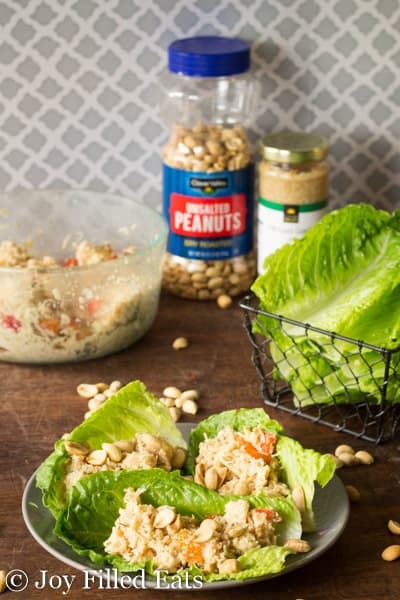 In a small rocket blender or food processor pulse 1/2 cup of the peanuts until finely chopped (make sure to not turn them into peanut butter). 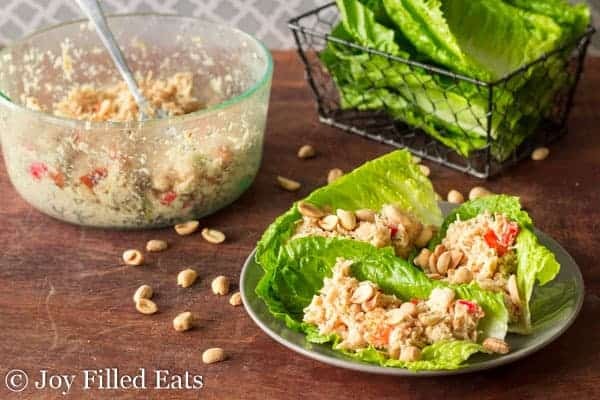 Stir the finely chopped peanuts into the chicken salad. 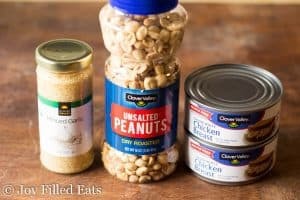 Sprinkle the rest of the peanuts on top. Serve in pieces of lettuce. Stir together the first five ingredients. Fold in the chopped pepper. 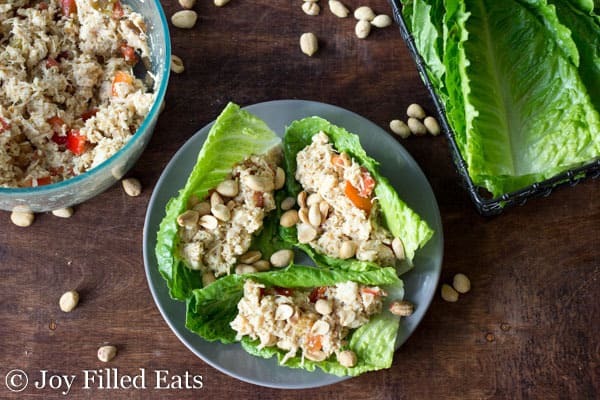 What a refreshing twist on the usual chicken salad. I love Thai food so I'm all up in these flavors! Thanks for the recipe.